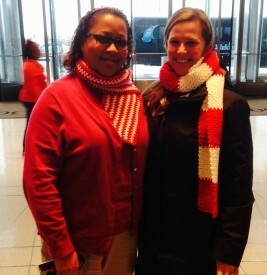 Whitmore and her fellow Knitters of the Dunes made several red and white scarves all with tags that read “Made With Tender Loving Care.” The scarves were distributed to athletes at Winter Games through a raffle at the Families Table. 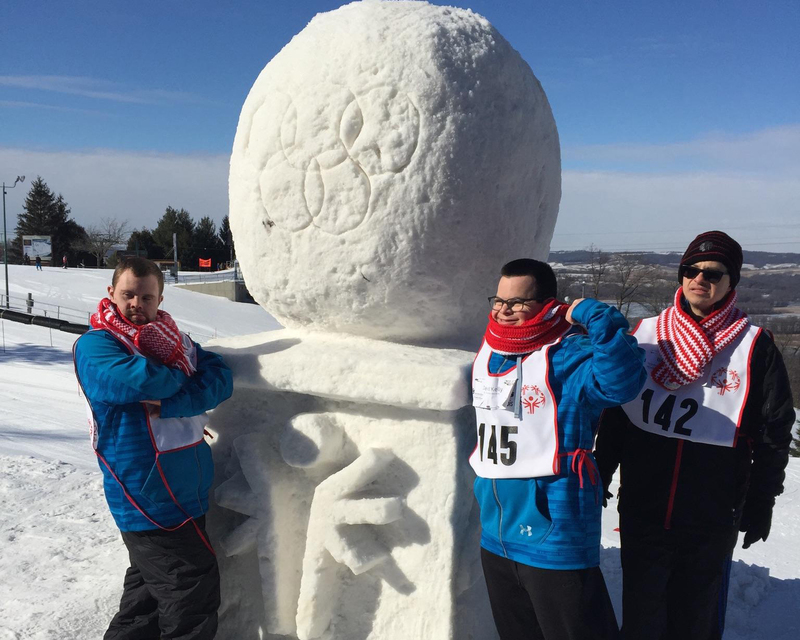 Special Olympics Illinois is grateful for the all the support they receive from Blue Cross Blue Shield and from their employees. They are an official partner of Special Olympics Illinois.